What are the new pedagogical changes adopted by CISCE in education? The curriculum prescribed by the Council emphasises all round development of students. In order to provide them with an opportunity to not only acquire knowledge but also learn other essential life skills, such as thinking and analytical skills, team work, communication, public speaking, time management and critical thinking, project work has been made an essential part of all subjects at the ICSE (Classes IX and X) level. Certain skill-based subjects have also been introduced at the ICSE level which have a 50 per cent component of project work. Project work also forms an essential component of a number of subjects at the ISC (Classes XI and XII) level. In order to integrate learning with abilities and skills, the curriculum provides for flexibility in the choice of subjects. At the ISC level, students do not have to take predetermined subject streams. The Council makes available a basket of subjects from which the students can select subjects of their choice, across the boundaries of Humanities, Commerce and Science, in keeping with their aptitude and ability. At the ICSE level, students who are extremely weak in Mathematics and Science are given the choice of opting for other subjects so as to reduce stress of failure at the examination. What is the extent of use of ICT in CISCE? With passage of time, it was felt that, many of the procedures that were being followed by the Council for the conduct of examinations and other related activities were time consuming and cumbersome and not availing the benefits of what modern technology could offer. A re-look at them was hence required. In the year 2013, the Council for Indian School Certificate Examinations embarked upon a process of comprehensive and systematic modernisation of its processes and procedures. In order to translate its vision into reality, the Council decided to collaborate with an IT service provider. As a part of the modernisation exercise, the existing processes of the Council were reviewed so as to identify how best ICT could be used to achieve overall efficacy. A comprehensive modernisation plan christened, and CAREERS was developed. CAREERS, i.e. Council’s Affiliation, Registration, Examination and ERP System is an integrated suite of software applications aimed at bringing about a significant enhancement of operational efficiency. The CAREERS portal provides an online gateway which facilitates a two way exchange of data and information between the office of the Council and the schools affiliated to it. All the major examination related processes of the Council, such as, Registration of candidates for the ICSE and ISC examinations, arrangements related to examination centres and appointment of conveners, supervising examiners, visiting examiners and inspectors, requests for recheck of results are now being carried out through specially designed modules on the CAREERS portal. The CAREERS portal has also simplified the process of affiliation by providing a facility for online submission and processing of affiliation related requests. The process of receipt of answer scripts from schools, their onward dispatch to examiners for marking as well as receipt of marked answer scripts has all been automated through use of specially designed barcoded answer script envelopes and a state-of-the-art Bundle Management System (BMS). The BMS machine reads the barcode on the answer script envelope and automatically pastes a label on it, which indicates the details of the examiner who will be marking that packet, the City where it will be marked, as well as the location in which it will be stored in the office of the Council. Besides extensive use of ICT in its transactions with its stakeholders, the Council is also using ICT to modernise its internal processes. An ERP software has been developed which has helped automate many back office functions of the Council such as Accounts, HR, Administration and Stores. ICT has also been used in digitising important documents of the Council. The Council had in store, records of result tabulations of ICSE and ISC Examinations of more than 50 years. Storage and retrieval of these documents was a cumbersome process. However, this problem has been taken care of by digitising all important documents. CAREERS, i.e. Council’s Affiliation, Registration, Examination and ERP System is an integrated suite of software applications aimed at bringing about a significant enhancement of operational efficiency. Extensive use of ICT in the various processes of the Council has resulted in significant reduction in manual labour and enhanced operational efficiency. It has helped reduce the to and fro hardcopy communication with schools, thus reducing the number of man hours spent on various tasks. It has provided for fast retrieval of documents which are now available in electronic form, while also ensuring data security. What is the future vision of CISCE for the next two years? As part of its modernisation endeavours, the Council had embarked upon a new initiative to capture marks from the answer booklets directly at the evaluation centres, with effect from the ICSE/ ISC Year 2016 examinations. This initiative introduces a new technology called ‘Orion LICR Solution”. The acronym LICR stands for Live Ink Character Recognition. This technology incorporates a specially designed digital pen and a tablet device to be used by examiners while evaluating answer booklets. Use of the LICR technology will reduce the time taken for marks to reach the Council after examiners have completed their evaluation to zero seconds. This technology is easy to use and will help in reducing the errors. 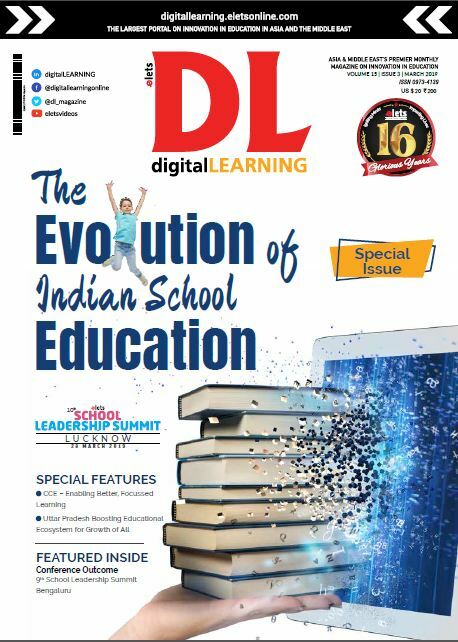 How is technology playing a vital role in the deliverance of education in CISCE? In order to facilitate the teaching-learning process, the Council has consistently been bringing out a set of documents called the Analysis of Pupil Performance, since 1994. These ICSE and ISC documents provide a detailed qualitative and quantitative analysis of the performance of candidates for various papers, including the kind of mistakes made by candidates, topics found difficult or confusing, marking scheme for each answer and suggestions for teachers and students. This enables the teachers to understand the assessment process better and helps them in guiding their students more effectively. In order to ensure that the information contained in the documents is available to all concerned, from the year 2013 onwards, these documents have been uploaded on the Council website from where they can be easily accessed. In addition to the above, all other documents such as, year-wise ICSE and ISC specimen question papers, syllabuses, and other resource material are made available on the Council website. Besides the public website, the Council also uses the CAREERS Helpdesk to convey specific information to its affiliated schools. CAREERS Helpdesk is a platform through which important documents and resource materials are made available to Heads of schools, along with various examination-related tutorials. The Council record which is a quarterly document providing details of the forthcoming activities of the Council, is put up on the CAREERS Helpdesk so that Heads of schools may be apprised of the examination related and other activities in the coming quarter. What are the teacher training programmes undertaken by CISCE? The Council conducts subject-specific teacher training programmes both at the ICSE as well as the ISC level, at its offices. The content of the training programmes is designed according to the requirements of the participants. Participants are asked to suggest areas or topics that they would like to be discussed during the programme and the content of the programme is designed accordingly. Training programmes for teachers are also organised on demand, for Council affiliated schools in specific cities.